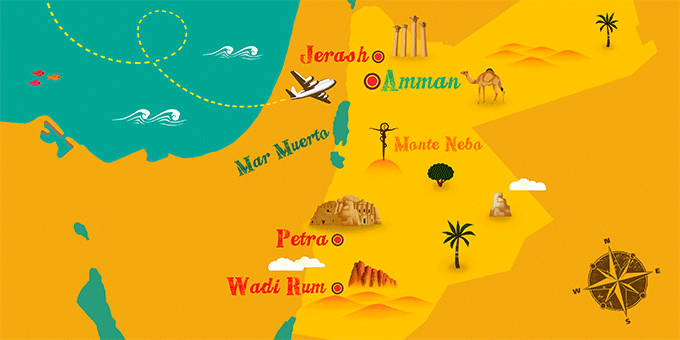 Shopping in Jordan is one of the best ways to learn about its culture, history and traditions. The souqs of big cities like Amman are full of merchandise of all kinds where you can find everything from clothes to the spices. Because they are local markets, where Jordanians make their own purchases, prices are quite cheap and, in some places, they are open to bargaining. Among the most characteristic products of the country is its popular white and blue ceramics elaborated by hand, mosaics, carpets and tapestries. Gold and silver are also goods that have acquired great prestige in the country, and in many of the stores they sell good quality jewellery. Jordanian fashion is also very particular. In many of the street stalls you can find keffiyeh, the typical checked handkerchief, or white tunics for men. Although undoubtedly, if there is a product that can not be overlooked due to its value and popularity it is the cosmetics and products made from the therapeutic Dead Sea water.